In today's world music is almost always mentioned with the word streaming somewhere nearby; Apple's new streaming service, Spotify, Pandora, its' all something to be thumbed up or downed, choices made by algorithms based on listening habits. It's downloads and viral streams, YouTube, Soundclouds and ringtones. But it's not. In the beginning there is actual music; notes on a page. And then, there are people, real, live humans, playing it, singing it, bringing it to life. Music at its core is emotion put to paper, experiences made to melodies of lives lived and loves lost all wrapped in rhythmic recorded packages. Music was bound for the stage from the first melody hummed and the two have had a love affair for centuries. Theatre loves music and vice-versa and there is still no better living testament to that than Broadway. Oh yes, there's the West End in London and other great theatre districts around the world, but when it comes to legitimacy, there's the Great White Way of Broadway, New York City, New York. Broadway has given the world countless melodies and songs that have become iconic from productions that have gone on to tour the globe. There's also been great numbers in smaller productions that remain gems unheard by the masses. And as any play aficionado will tell you, good musical plays usually have one to five GREAT numbers; a strong opening, an end of Act One, opening of Act Two, the 11 o'Clock song and finale. And if the play is lucky one of those great songs ends up something even more and becomes a lasting memory: Think "Music of the Night" from "Phantom" or "Home" from The Wiz. The fact that most of you know those illustrates my point. Now imagine a production that takes those songs, the iconic hits and the hidden gems, pairs them with a hysterical and extraordinarily talented musical director that then draws from both local and national talent and you have "An Evening of Classic Broadway;" a new show taking residency at one of the most entertaining venues in the area, The Rockwell Table & Stage in Los Angeles. The Rockwell and Fraser Productions invited us in to catch the June 20th performance and it made for a great night out. 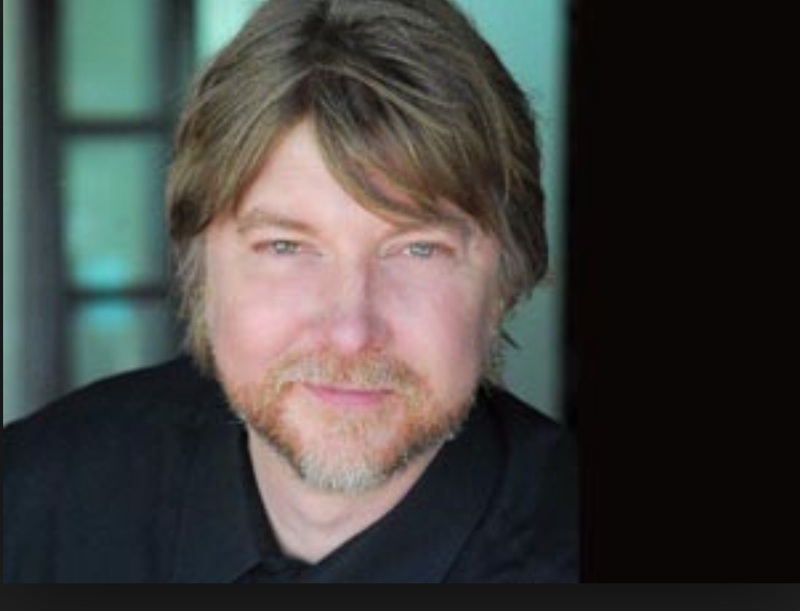 The show is the brainchild of Brad Ellis, the silent on screen but incredible musical director, pianist ,vocalist, historian and all around funny guy who has been behind the "Glee" kids at the piano since the show began on Fox. Well, "Glee" really should have let him speak and be him, because he's not only a hoot, but he knows more about Broadway shows than almost anyone I've ever encountered. His credit list is prestigious indeed. His partner in crime is Dianne Fraser and Fraser Productions and her passion for musical theatre and desire to see it produced in infectious. 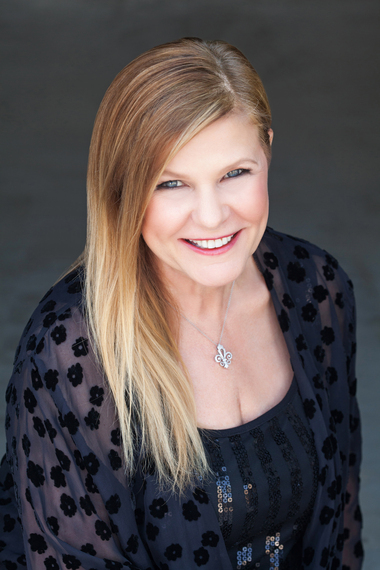 She wears many hats as do most in Hollywood and is a manager to writers and actors. Typically managers aren't also performers, but Fraser hits the stage in this production and others including "Part Time Diva" a project she is working on with husband / writer Jeff Cohn. "The show gives us a great chance to present some standards in their standard form," Ellis stated as we chatted before the show July 16th, 2015. "But it also allows us to take some chances and rearrange and rethink some of them. It gives the performers a chance to do songs they may not ever be able to because of gender or some other caveat, so it all works out quite well," he added. "it's not easy to get this type of thing going, especially on the West Coast," Fraser added. "But it's so needed, so necessary and it's great that venues like the Rockwell are open to letting us come in during the week and bring in a different demographic for a fun evening of song and stories," she stated. And the stories are as fun as the songs, including the ones about producing the very show being watched. Not every entertainer could make it, set lists had to be shuffled, duets rearranged, you know, theatre. Each performer had some anecdote about working in the theatre and its many colorful moments. The show plays like a Spotify playlist of Broadway tunes, but with live people, handsome wait staff serving drinks and food and human interaction. "We're trying something innovative, real live singers and performers, we hope it catches on," Ellis laughed after the hour-and-a-half nonstop cavalcade of tunes from Broadway shows spanning the last 60 years. Pat Whiteman started with "Getting to Know You" from "The King And I" and ended with "Use What You Got" from "The Life." 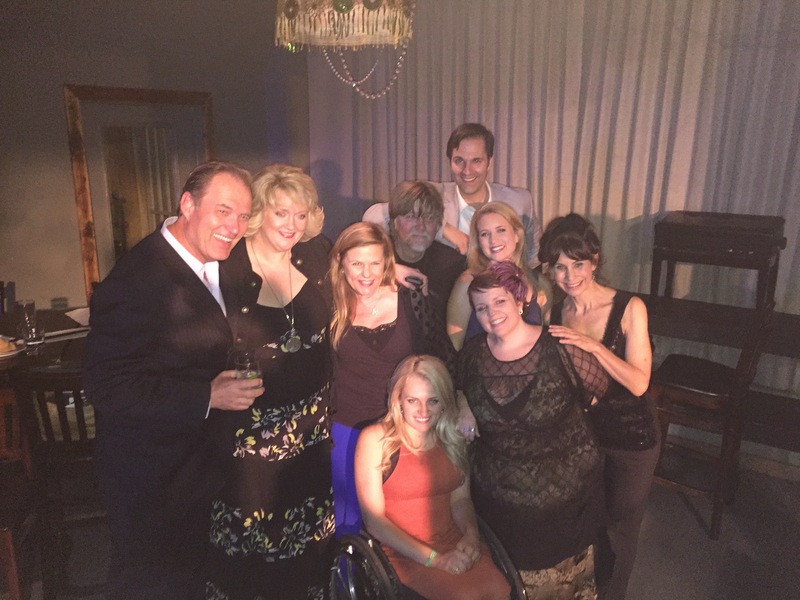 Ali Stroker, currently in "Spring Awakening" in Beverly Hills hit a high note with her rousing rendition of "Be a Lion" from "The Wiz" while stage veteran Eydie Alyson commanded "If You Hadn't But You Did" with lyrics by the legendary Jule Styne. MaryJo Mundy camped it up in "A Call from the Vatican" from "Nine" and "Glee" alumni Bill Jones added a Rat Pack class with "I Met a Girl" from "Bells are Ringing." David Zack brought the house to its feet with "Till I Hear You Sing" from "Love Never Dies" and everyone joined in a sing along at the end for "Oklahoma." The real star of the evening is Ellis, his trivia and his playing. This man reminded me so much of a vaudeville performer, able to effortlessly sing, play, entertain, a modern day piano man, Billy Rose, an entertainer. The passion he along with Fraser and Kate Pazakis for Rockwell Table and Stage put in shows as it is a labor of pure love of music, of Broadway and of live entertainment is evident. And it appears to be working. Each show is gaining performers and audience. The show will play again August 10th, 2015 with different cast and songs, same musical directors and producers. It is a fun evening of song, stories and spirits for any fan of not just musicals but live cabaret entertainment with high caliber performers and sometimes emotionally stirring, rousing moments. The food at the Rockwell is tasty, and even though the pizza is $16, the quality was worth it. The mac-n-cheese was a down-home delight, ahi tacos light and fresh and the vegan salad full of flavor. They feature craft cocktails and house wines, again at big-city prices but there's only a two-item minimum and low ticket price so the value-to-dollar is a good one. Or as Fraser put it, "Hell, you can order two diet cokes and see such a great performance!" Maybe it's because I grew up with musical theater. Maybe it's because I'm a 52 year old gay male. Maybe it's because I realize that watching talented singers perform while eating tasty food and drinking craft beverages beats binge watching the last four episodes of "Orange Is the New Black" on a Tuesday night. But I feel places like the Rockwell and shows like "An Evening of Classic Broadway" are needed more now than ever. As we become so attached to our gadgets, as everything is a stream, a YouTube video, a clip to be Googled, it's vital to both keep venues open, keep performers employed and keep reaping the cultural, emotional and physical benefits (yes, it's proven a night of wine and song is good for you) of live shows. Hats off to Ellis and Fraser and the Rockwell and if you can get to Los Angeles be sure and stop by; if you can't, find a venue in your city where live musicians play, where stage singers and cabaret performers do their acts, grab a friend, wife, husband or date and go out and get your song on. Also of note, the Rockwell does a series of fun productions throughout the week like "The Completely Unauthorized Cruel Intentions The Musical," which I was also invited to see. What a hysterical evening of parody, camp; "Dynasty" meets "High School Musical." This show along with the Broadway show and others make the Rockwell one of the trendiest cabaret / theatres in the L.A. scene at the moment.